Help us to reduce the number of disposable cups going to landfill by 125,000. 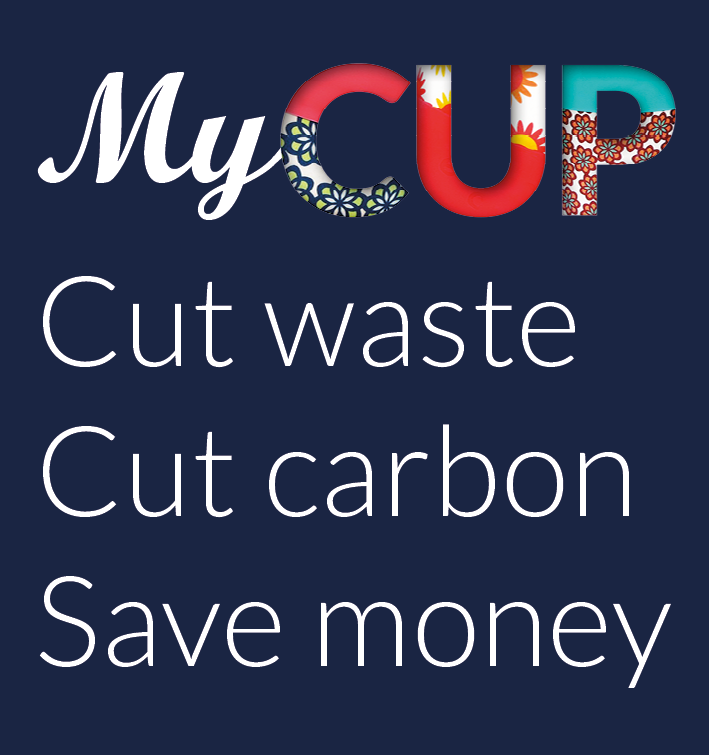 MyCup is our reusable cup scheme, encouraging staff, students and visitors to ditch single use cups! Here at the University of Brighton our goal is to reduce the number of single use drink cups we throw away by 125,000 a year. We want our customers to benefit from using a reusable cup – either by using their own, or buying a reusable Ecoffee Cup from any of our outlets. What's wrong with a single use cup? Single use paper cups are coated with polyacetylene (an oil-based plastic) which, whilst making them water tight, stops the cups from degrading and makes them very difficult to recycle. Not only that, paper cups are made from virgin wood pulp or paper (for hygiene reasons), and are often transported around the world, before being thrown away after just one use! It’s estimated that 2.5 billion paper coffee cups are being thrown away in the UK every year. That’s almost 5,000 a minute, or 7 million per day. Why use a reusable cup? At the University of Brighton, we estimate that in the 2016-17 academic year we threw away nearly 1 million single use, disposable paper cups! Just imagine how much less waste we could produce, if everyone used a reusable cup instead. The manufacture, packaging, and transportation of disposable cups around the world has a significant carbon footprint, and the use of plastic lids adds to this even more. Using virgin paper for cup production also reduces the planet’s carbon absorption capacity (as trees absorb carbon dioxide), as well as degrading the ecosystem through loss of habitats. By avoiding the charge for a single use cup, our customers will save every time they use a reusable cup. Our MyCup initiative has won the University a top national award. 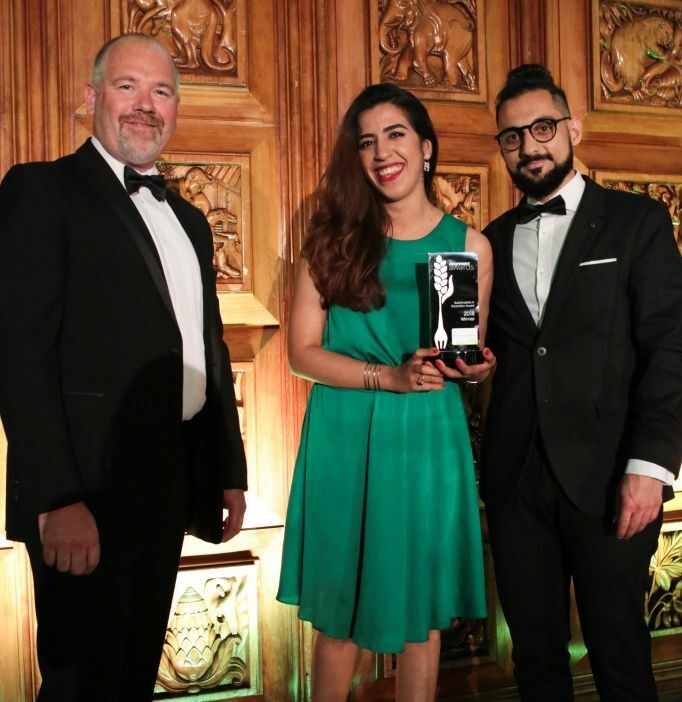 Our University won the 'Sustainability in Education Award' from Footprint, which annually runs industry awards for sustainability in the supply chain. David Hicks, Deputy Director of the University’s Accommodation and Hospitality Services, said: “Many congratulations to everyone who has contributed to this fantastic achievement, including our brilliant front of house teams for selling the virtues of reusable cups. “Thanks also to the Environment Team for their expert advice and invaluable help from the very start. Over 75,000 paper cups have been saved from waste and incineration in less than nine months and we are planning to push on with increasingly ambitious targets through 2018/19. Ecoffee Cups are on sale for £5.95, which includes a free drink! Every time you use it you won’t have to pay for a disposable cup, which are an additional 25p. You can also collect MyCUP stamps every time you purchase a hot drink with your reusable cup on the MyCUP loyalty card – and when you have purchased 10 hot drinks the 11th drink is free. By the time you have earned your free drink on our loyalty card you will have already avoided using 12 single use cups. If you choose to have your hot drink in a single use cup we will charge you 25p. If you use a reusable cup you will not be charged any extra. Where possible our pricing signage will highlight the cost benefit of using a reusable cup.